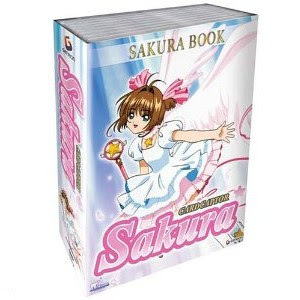 Description: A collection of all 18 DVD Volumes for the Cardcaptor Sakura series. Sakura opens a mysterious book and releases powerful magic cards into the world. She must learn to use her magic abilities to capture each of the extremely powerful beings within each card or disaster will destroy the world. 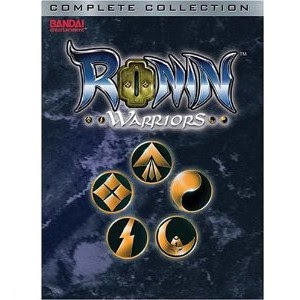 Description: A collection of all Ronin Warriors episodes. The Demon Emperor Arago returns to earth and attacks Tokyo. Nine suits of armor were made from the armor of the last evil emperor who attacked thousands of years ago. Arago has reclaimed four of them but the remaining five suits are in the hands of the Ronin Warriors; the last hope for stopping the Demon Emperor. Description: A collection of Vol. 10-18 of the Cardcaptor Sakura anime series. Description: A collection of Vol. 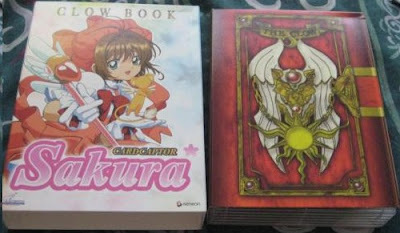 1-9 of the Cardcaptor Sakura anime series. Description: A six disc collection of every Sailor Moon S episode. Sailor Moon and the senshi continue to fight a new set of villains in this sequel to Sailor Moon and Sailor Moon R. The new villains, named the Death Busters, plan to rule earth using pure heart energy from innocent victims. 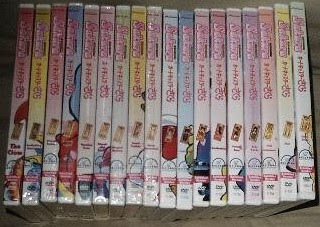 Description: A collection of all 12 volumes of the Kimagure Orange Road TV series. Kyosuke Kasuga moves to a new city and falls in love with Madoka. Meanwhile he tries not to break the heart of Hikaru. To complicate matters everyone in Kyosuke's family possesses secret powers, which he wants to keep a secret. Description: All 42 uncut episodes from season two of Sailor Moon. A magical cat gives a girl named Serena super powers. She becomes the leader of a team of girls named the Sailor Warriors. The uncut episodes are more mature than the original episodes which aired in the US. 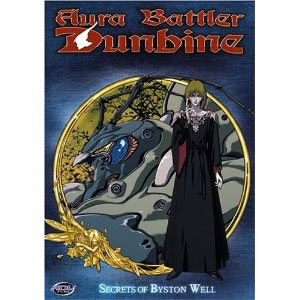 Description: The eleventh volume of the Aura Battler Dunbine TV series - Secrets of the Byston Well. The volume originally retailed for $20 but sells for $140 used and up to $220 brand new. Show Zama is pulled into the world of Byston Well by Lord Drake Luft in order to pilot his new weapon: Aura Battlers. Show learns that Luft does not have good intentions for Show or other Aura Battler pilots. 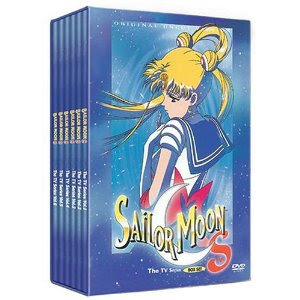 Description: 46 episodes of Sailor Moon's first season in an uncut collection. 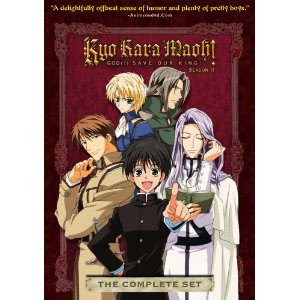 The collection includes eight DVD's, a printed episode guide, and English subtitles. 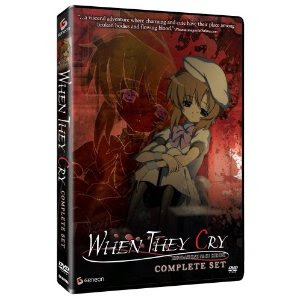 Description: The six disc complete box set of 26 When They Cry episodes. A boy transfers to a new town and school in the summer of 1983. He makes friends with some fellow classmates but soon stumbles upon the dark history of this rural town and realizes his friends may not be who they claim. 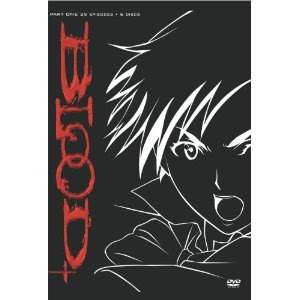 Description: A collection of three OVA DVD's and a series ending movie. The episodes on these DVD's are different from the Kimagure Orange Road previously on this list. 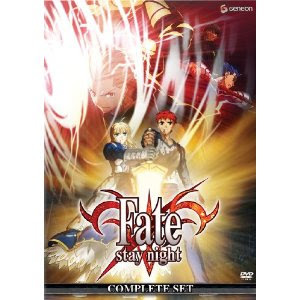 Description: The six disc box set of Fate/Stay Night by Geneon is worth much more than the four disc version re-released by Funimation. The box set includes all 24 episodes of the TV series. Shirou Emiya learns to summon a "Servant" known as Saber and is drawn into a war for the Holy Grail, a relic that can grant your wishes. Shirou battles seven other Masters, each with his own secret weakness. 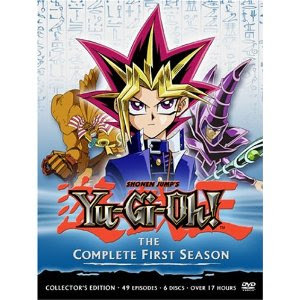 Description: A collection of 8 volumes of the first season of Yu-Gi-Oh. A young boy named Yugi Mutou finds an ancient puzzle and unlocks the spirit within. The spirit was the Pharaoh from an old Egyptian dynasty but he has lost all his memories. Yugi helps the spirit find the lost memories and send him back to the after life. Description: Box set includes all episodes from Season 2 of Save Our King. Yuri Shibuya is sucked into a toilet after a getting a swirly and finds himself in a world like medieval Europe called Mazoku. Because Yuri has black hair and black eyes he is going to be the next Maoh (King), but his kingdom is on the edge of war and Yuri must learn to lead his country and adapt to their new customs. Description: Box Set of all four DearS DVD releases. A high school student named Ikuhara Takeya helps a young girl named Ren, an alien who came to earth and who's sole purpose is to please her master. She makes Takeya her master and he tries to teach her the culture of earth. Meanwhile Ren is being tracked down by her leader because she is malfunctioning. 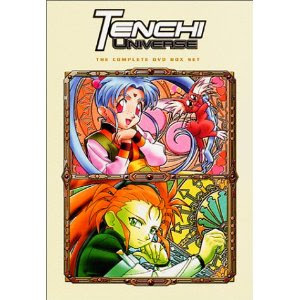 Description: The complete collection of 26 Tenchi Universe episodes in one package. Tenchi Masaki lives in normal life in rural Japan. A space pirate crash lands at his grandfather's temple and and Tenchi is sucked into an adventure that will take him across the universe with Galaxy Police, space pirates, a crown princess, and a scientific genius in the cast of characters. 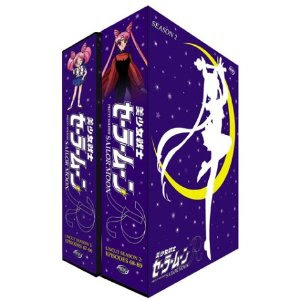 Description: All three Sailor Moon movies in one special box set. 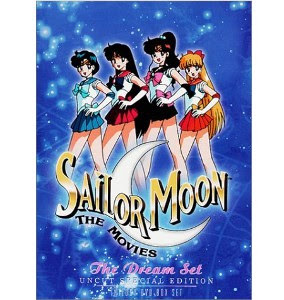 Includes Sailor Moon R: Promise of the Rose, Sailor Moon S: Hearts on Ice, and Sailor Moon Super S: Black Dream Hole. The plot and villains are different in each movie, but each one revolves around Sailor Moon and the other Senshi as they save the world. Description: This collection includes the three Samurai X OVAs; Trust, Betrayal, and Reflection; and the Samurai X movie. Himura Kenshin was taken to be a slave as a child but is rescued and found by the master of the Divine Justice School of Swordmanship. Kenshin is trained in the school and joins the Meiji restoration and becomes the Ishin Patriots greatest killer. 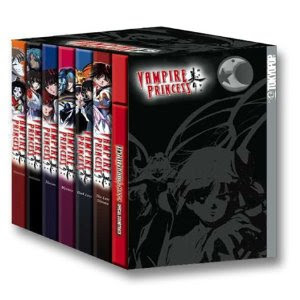 Description: The box set includes 6 DVDs with every Vampire Princess Miyu TV episode and a soundtrack CD. Miyu is a born a vampire and is eternally 15. She is charged with returning evil demons, Shinma, back to the dark but she longs to return to the dark herself. She cannot return until she has banished all the Shinma from Earth. 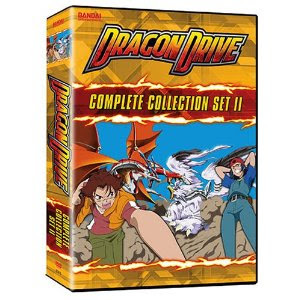 Description: Dragon Drive Collection 2 includes episodes 19-38 and includes an illustration gallery. Oozora Reiji discovers a virtual reality game called Dragon Drive in an underground arcade. Reiji spends hours training an extremely rare dragon but soon he realizes the game is so much more. He might be the only one who can save an entire world. 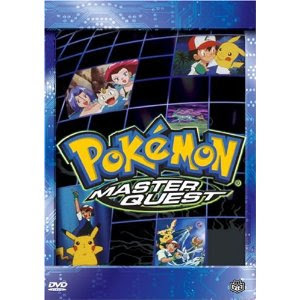 Description: A collection of episodes from Pokemon Master Quest (Pokemon Season 5). Some episodes from the season are included on Part 1. Ash, Misty, and Brock finally make it to the Johto League Championships and face new rivals and meet new Pokemon along the way. Description: Part 1 includes 25 episodes, collectible packaging, and originally came with a t-shirt. Throughout time there has been a battle waging between monsters known as Chiropterans, who feed on blood of the living, and an organization called "Red Shield", who is tasked with exterminating the monsters. Saya Otonashi, a young high school girl, has amnesia but is given a katana sword by a mysterious man. She soon learns she is part of Red Shield and has a destiny to fulfill. @telepathy - Thanks for the comment. We do have Yu-Gi-Oh: Season 3 on our site, but we weren't tracking Season 2 or the Dawn of the Duel releases. @anonymous - Wow, $5! That is a great deal. Please continue to let me know if we are missing any other titles. Another thing to keep in mind. We only listed items with actual confirmed sales. Just because the list price is really high doesn't mean it will sell for that price. @anonymous - thanks for the info on some missing titles. We had all but one of these in our database and have added that, Lyrical Nanoha A. The prices you are citing are the list prices on Amazon, which are not always the price an item will sell for. Sometimes a seller just lists with a very hopeful price. For this article we only used actual sales data where someone bought the DVD for the price listed. The 6 volume set of Welcome to the NHK is very expensive, due to volume 6. I have only seen volume 6 being sold once and it alone sold for $500. It is very expensive because shortly after it was released, the publishing company shut down, leaving very few copies of this particular release version. You can find the full series collection from Funimation for about $20 to $30, but the 6 volume box set version is a rarity due to that last volume. I would have to include one of the rarest in my opinion. AnimEigo 9 dvd box set Super Dimension Fotress Macross retailed for $199 when I bought it back in 2001. I have seen new ones go for $599 and used one go for in excess of $400. I have some anime..that I am needing to get honest prices for. They belonged to someone very close to me and they were his prize possessions. I have close to 6 banker boxes full. We are only selling them to pay for his headstone. I don't want to get ripped off. He don't deserve that. Can you, or anyone on here tell me who to go to or trust with them? He has very rare ones.complete sets. And if I'm not mistaken, some that are not even opened.